The recruitment startup wants to shake the cobwebs off the traditional industry. Manchester-based startup Hiring-Hub is ploughing on with its mission to shake up the recruitment industry after attracting £425,000 in investment via crowdfunding. Hiring-Hub lets you upload a vacancy and pick what fee you would be willing to pay to fill it. The vacancy is then put out to its network of 800 approved agencies, which can bid for the job. It’s anonymous until you select a recruiter so there's no pesky cold calls. If you hire a candidate you pay the set fee, if not then you pay nothing. 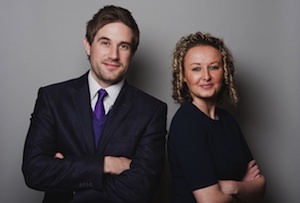 Jones, a former recruitment consultant who featured in MT’s 35 Under 35 list this year, launched the business with co-founder Simon Swan in 2012 and it has since grown substantially, attracting clients like Morrisons, Rymans, Innocent Smoothies and Iceland. The money was raised from 23 investors in less than six weeks through crowdfunding platform VentureFounders and will be spent on beefing up Hiring-Hub’s sales team, boosting marketing spend and refining its technology. The company has now raised a total of £925,000. ‘Unless all UK businesses are using this platform as a way of engaging third party recruiters then we haven’t succeeded,’ Jones added. A tall order to say the least, but you can’t accuse her of lacking ambition.